Are you thinking about giving your marketing department a boost? 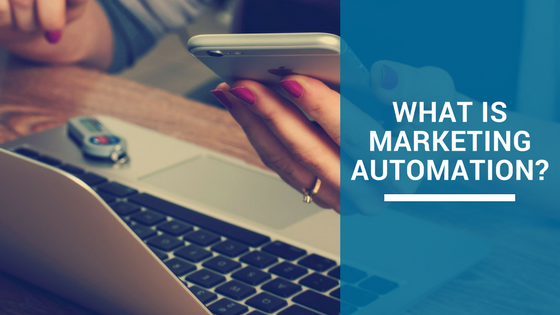 Marketing automation uses software to streamline manual tasks, like sending emails to prospects, scheduling sales calls and welcoming new contacts and subscribers, into automatic processes. Marketing automation allows your marketing department to work more effectively and with more accountability so you never miss a lead again. A better functioning marketing department gets you better leads, helps sales and results in more growth. The technology is there, why not use it? To get started with marketing automation, you first have to identify what processes your marketing department is doing regularly and repetitively. Are you sending similar emails to contacts after they download your eBook or join your subscription list? This is one example of a great opportunity for marketing automation. What if your team had a template for these emails? What if that template sent, automatically, whenever someone downloads your eBook? What if that email template could include personalization, such as the recipients' First Name or Company Name so the email feels customized? What if you could send unlimited personalized emails a day regarding specific trigger events, without having to click a single button? Now that you've got your marketing strategy and identified what processes you can automate, what tools do you need to execute your plan? There are many marketing software options to choose from, with something for every need imaginable. Here at Laire Group Marketing, we use HubSpot because it's a robust platform that fits all of our needs the best. HubSpot may not be right for your business but we think its software is one of the best tools to attract, nurture and convert leads. Below is a list of tools and capabilities marketing automation software programs typically have. We’re using HubSpot’s terminology here, so these tools might be called something else with other programs like Ontraport or Active Campaign. A marketing software program produces detailed, simple to build reports. You'll receive detailed data on everything your marketing software tracks so you can determine if campaigns are working effectively. From social media engagement, email campaigns, landing page conversions and more, you can see how your company's marketing efforts are impacting the bottom line. This is a tool to help your marketing team deliver higher quality leads to your sales team. A website visitor isn't automatically a sales qualified lead, or even a marketing qualified lead for that matter. Marketing automation software programs track your contacts' activity on your site. For example, if someone visits 60 pages of your website and has downloaded multiple offers, your marketing team deems them qualified to speak with a salesperson, aka a marketing qualified lead or MQL. The salesperson has access to that lead's activity and will have an idea of the lead's interests and pain points, leading to a more productive and informed sales call. Marketing automation programs have the ability to automatically sort your contacts into segmented lists based on how they interact with your website. Your smart contact lists can build based on the criteria you deem important, like how many pages a contact has viewed or how many emails they've opened. That smart list can then feed into notifications for your sales team to followup or enroll contacts in workflows. Workflows or sequences are built on "if-then" formulas. If someone fills out a form, then they're automatically sent an email. Workflows can be set up a million different ways but the overall idea is to not let a lead slip through the cracks. Why leave it up to human error? We all get busy but if you have workflows set up, you won’t forget to reach out to a new lead and you'll have more time to spend on other efforts. HubSpot offers personalization tokens to help marketers connect with their leads. Once a contact is in your system, the personalization token automatically fills in their name, title or anything else you know about the lead. The tokens keep you from having to use “to whom it may concern" and your emails won't look like spam. One person can do every task listed above, but why should they when they don't need to? Marketing automation works in the background. It allows digital marketers to be more productive and deliver more results. If you have questions about marketing automation or the different software programs out there, let us know. We’re happy to steer you in the right direction.